When you choose Port Macquarie to Brisbane Removalists, we ensure that the removal will be carried out promptly, efficiently and without mishap. Roadways Removals can relieve you of worry in the weeks leading up to the move by helping with packing your belongings. We provide best service at affordable rate. Get your Quote Today!! At Roadways Removals, the furniture removals trucks used for transport of your furniture throughout Australia are custom built and come in various sizes to accommodate any size relocation from small loads to large. Fragile items to heavy removals requirements of homes and large offices. Our Port Macquarie to Brisbane removalists services are rendered with a fleet of vehicles that comprise of utes, small pan techs, large ridged vehicles and semi-trailers to ensure that any access challenges are overcome with ease. Whether you need to relocate a fragile or heavy item in Port Macquarie through Roadways Removals, our proficient removalists from our Port Macquarie removals service will take care of your belonging. 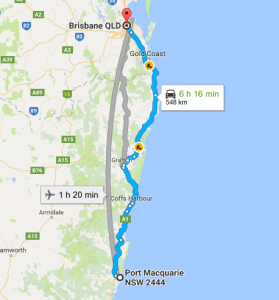 If you need reliable Port Macquarie to Brisbane removalists, contact us to get the whole process on the way today!